The former brand name, Appleooz, and brand story were limiting the growth of the company. Through competitive and consumer research, we identified a positioning opportunity we called "Fruit is going places." 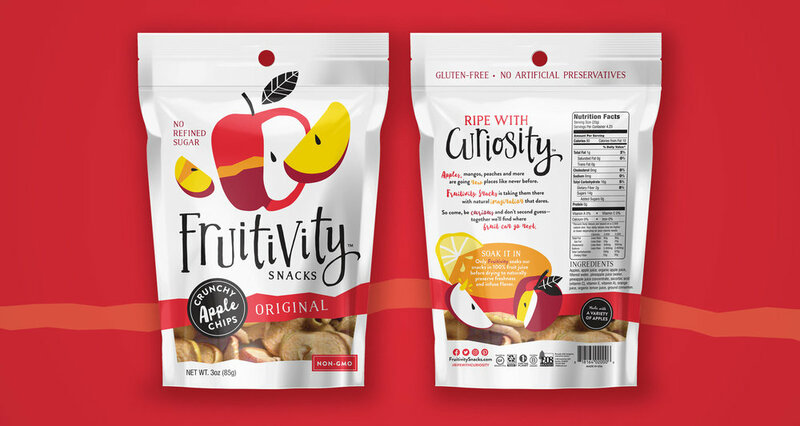 We leveraged the brand's unusal soaking process to create Fruitivity, a brand “Ripe with Curiosity.” They believe that fruit is full of untapped potential, and infinite snacking possibilities lie ahead. 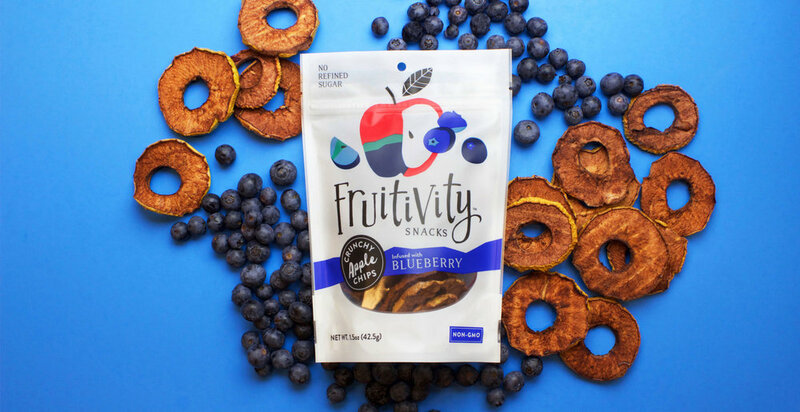 They vow to leave no fruit unturned in their quest to surprise consumers with flavor. They do this without adding any refined sugars, GMOs or unnatural methods. We looked to master artists to inspire the style of this creative brand. We had freedom to use bold colors in new ways to showcase the soaking method and spark curiosity in a long forgotten aisle. What started with two key flavors—original and tart—quickly extended into four additional SKUs at launch. The brand continues to grow in both natural and conventional channels.